Isn’t it amazing how being intentional in our actions magnifies results? And in so many experiences in my life I’ve also found it to be true that intentionality is contagious. And guess what! It worked! Some, including us at times, might say it worked too well. Our oldest son Brooks, was so moved by the experience, and the subsequent call he felt, that he came back home and began an internship with the organization we went with, and is transitioning to a full time position in Haiti this April. On the flip side of Brooks’ experience was the seed planted in Tara and I.
Coreluv (www.coreluv.org) was, and is, an amazing example of what it looks like to be intentional about taking care of orphans in a community. That first trip to Haiti solidified for our family that we have a passionate desire to invest prayer, time and finances in helping take care of the orphaned kids in these Haitian communities. It also prepared us for the information we would come across after our return to the states about the number of children right here in our local community that need a place to stay. I’ve heard many arguments about which orphan care needs are greater, domestic or international. For me and my family, the answer is both. We will continue to be involved in helping children in Haiti, and, since we don’t live there – or spend the majority of our time there, we will participate in orphan care at home as well. I don’t believe that orphan care is about a continent, it’s about kids that need help, and guess what? They are everywhere. 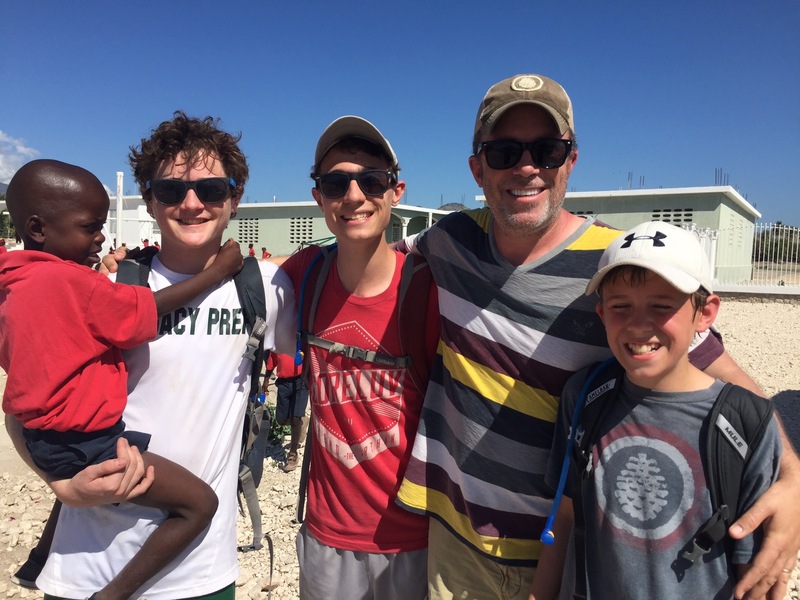 Watching Coreluv be intentional about orphan care was contagious for the Hutton family. Connecting with families here in Texas who have taken foster children into their homes has been contagious for the Hutton family. And guess what, just like I thought I was taking my boys to Haiti to teach THEM something, being involved in foster care is not about what I am giving to the foster children in our home, but what they are giving and teaching me.